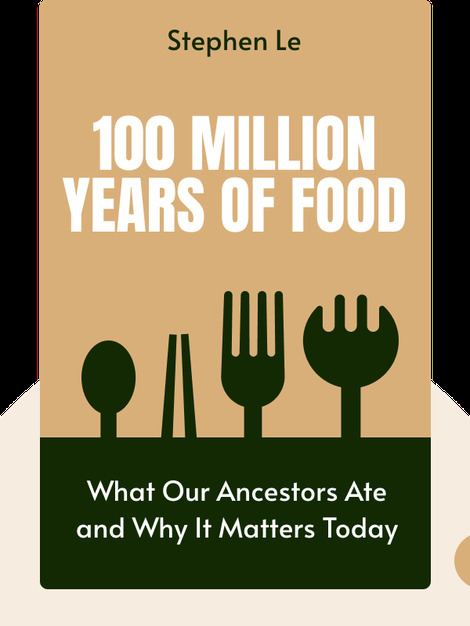 100 Million Years of Food (2016) is about the foods our ancestors ate and how that diet relates to our eating habits today. These blinks will take you way back in time to explore the evolution of eating. They’ll explain that, while there’s no one-size-fits-all diet, there are a few general rules to abide by. 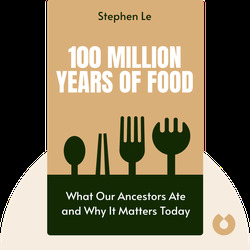 Stephen Le is a visiting professor of Biology at the University of Ottawa. He holds a PhD in biological anthropology from UCLA. This is his first best seller.